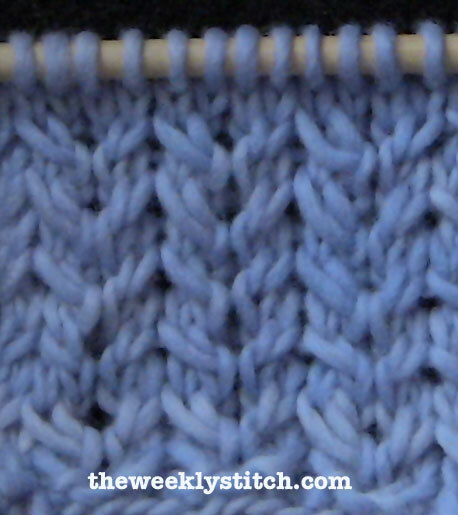 Other than a blanket or a scarf, what could you use this stitch for?? would it be good for a sweater? ribbing on a sweater? etc. It wasn't that difficult to do at all. You can use it for anything you want. Are you left handed? I have never seen anyone who held the yarn with there left hand to do all the stitches. So i'm wondering to do this stitch do you have to hold the yarn in your left hand? No, I am not left handed. Holding the working yarn in the left hand is known as the continental method. Many people knit this way; it's generally faster than the throwing/English style. What about doing this stitch in the round ? 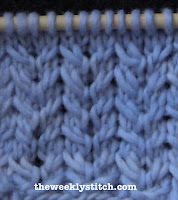 I love this stitch messed up on two. Easy to follow true to pattern. It isso Easy to make. Thank you to sharewith Us.